One of my wife’s favourite animals. 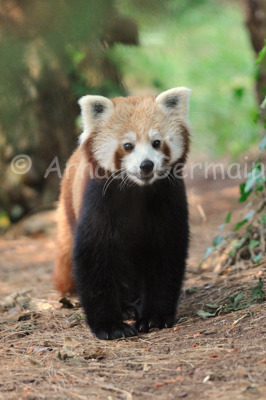 It has to be said that the red panda is a very cute animal. It looks a bit like a teddy bear. Paignton zoo has a great enclosure for its red panda. These animals live in trees, so the enclosure has 2 trees the pandas can climb on. For once, the panda was awake and on the floor when I took this picture. I pushed up the ISO as the light was not that great and I did not have my tripod. Nikon D700, Sigma 150-500mm OS at 450mm, F6.3, 1/500s, ISO 6400, handheld.